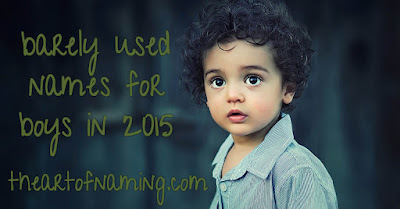 No doubt you heard about the social security administration's yearly baby name list that came out a couple weeks ago for the US in the year 2015. 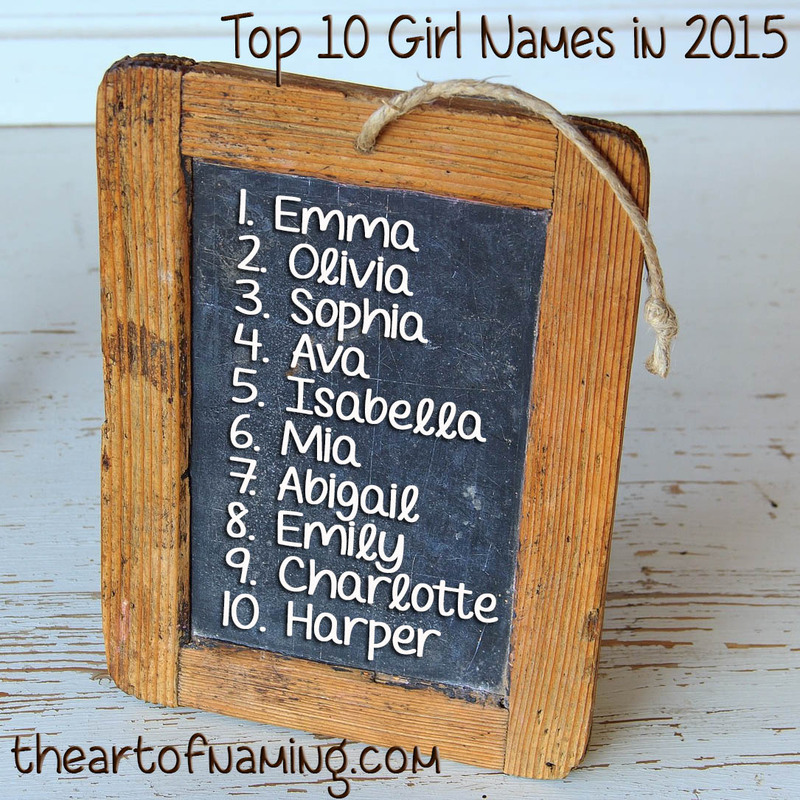 As you know, the #1 name for the year was Emma for girls. They also published the Top 1000 names for each gender. Did you know they also have data available for the names beyond the Top 1000? 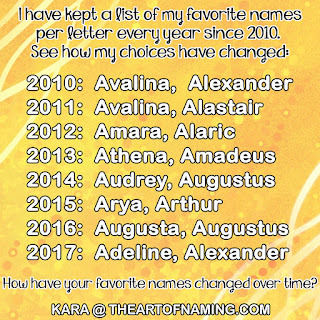 I often have parents ask me for "unique" name ideas. Now, it is hard to define what is truly unique because everyone has different definitions. Perhaps I've never met someone named Aspen or Mara but once I suggest those, you happen to have known a few and suddenly those aren't really all that unique to you even if they are to me. The best way to determine if a name is more on the unique side of things is to look at the data. 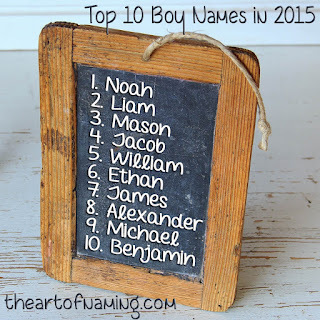 If a name is in the Top 10, there will probably be many kids with those names in the same school, which some parents want to avoid. 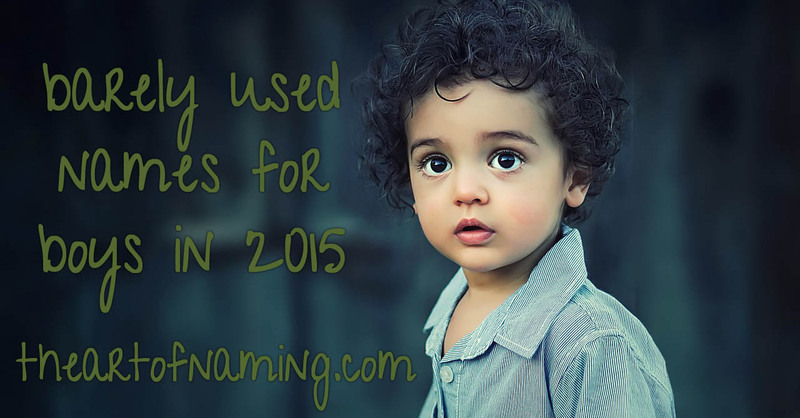 The farther down on the list you browse, the less likely it is you will find another kid with the same name. If you completely avoid the Top 1000 altogether, you are more likely to be "unique" than not. At least in your area. 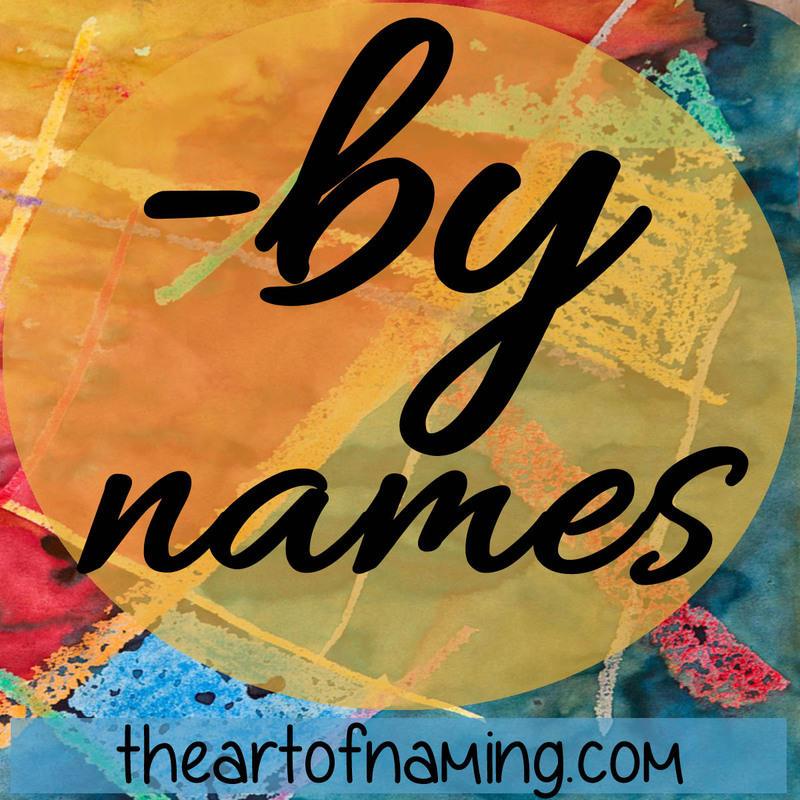 To increase your chances of having an uncommon, one of a kind name, it helps to toss out names that are simply respellings of popular names. For example, in this series, I will not be featuring any names that are similar to one that already ranks in the Top 1000. Since there are names like Adeline (#135), Adelyn (#193), Adelynn (#275) and Adelina (#545) in the Top 1000, I would not be featuring Adilene (#1136) or Addalynn (#1150) because of their similarity. However, there aren't any other names like Poppy so it will be discussed below. Mavis comes from the Old French word mauvis which means "thrush" and relates to a bird called the song thrush. Mavis may also mean "purple" in Greek. It was first used in the US for girls in 1893. It was most popular in the 1920s and 1930s, but it has declined in popularity since then. It dropped out of the Top 1000 by 1964, only recently has it gained usage, climbing up to its current rank which is just shy of the Top 1000. Mercy was one of the 17th century Puritan names, now considered a virtue name. It comes from the Latin merces which means "wages, reward" and is a version of the Latin merx meaning "goods, wares". It has been in use on record in the US since 1881. It was never within the Top 1000 names until it sneaked in at the bottom from the years 2012-2014. It dipped back down in 2015. Could it continue upward in the coming years? The name India comes from the name of the country which is named after the Indus River. The river's name is Sanskrit meaning "body of trembling water, river". India has been in use in the US since 1880 on record. It has been on and off the Top 1000 chart over the years, with its most impressive run from 1985 to 2005. The name has dipped down in 2015. Antonella is a female form of the Latin Antonius, which is a Roman family name. Its original meaning and origin are unknown but this family of names has become associated with the Greek anthos which means "flower." That's why that "h" is added into the boy name Anthony, but is generally left out of other forms like Antonella and Antonia. Antonella has only been around since 1954 on record in the US and is getting close to making its first appearance in the Top 1000. Sister name Antonia is ranked only 4 spots higher in 2015. Robin is a unisex name that comes from Robert. Robert is a German name "bright fame". It is also the name of a red-breasted bird. It currently ranks for boys at #973, cracking the Top 1000 for the first time since 1999. 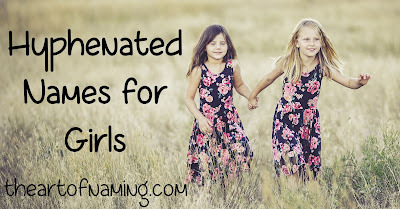 But for girls, it is still laying low. Female Robin ranked in the Top 1000 from 1932 to 2004. It peaked in 1961 at #169. Today, it's getting close to reclaiming a top spot again. 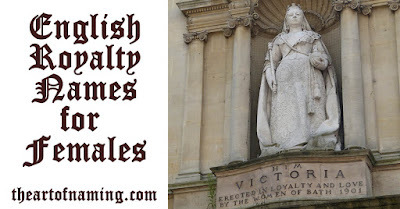 Cambria is the Latin form of the Welsh name Cymru which is actually the Welsh name for the country of Wales meaning "the people". So this is a place name. 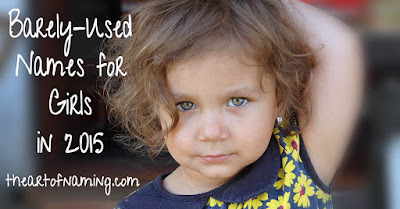 It has only been in use in the US for girls since 1963. It cracked the Top 1000 in the years 2009, 2011, 2012 and 2014. It currently dipped back down. Could this name be more popular in the near future? While this name is very rare in the US, it's extremely popular in the UK, ranking as high as #5 in England and Wales recently. It comes from the Old English popæg which is also where the red flower gets its name. It first had usage in the US in 1919 as a name, but it has been inconsistent. It wasn't sued between 1983 and 1998 on record. Now, it's knocking at the door of the Top 1000. Will it join soon? Ellery is an English surname which came from the medieval masculine name Hilary. It was derived from the Latin hilaris and the Greek Hilaros which mean "cheerful". Ellery was first used for boys as far back as 1884 in the US. The first female usage came in 1959. 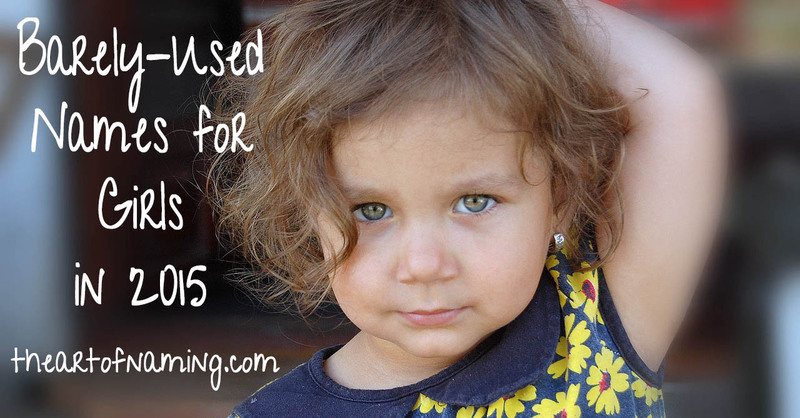 It only had 13 male births in 2015, but for girls, it is inching closer and closer to the Top 1000 every year. Temperance implies moderation and self-restraint. 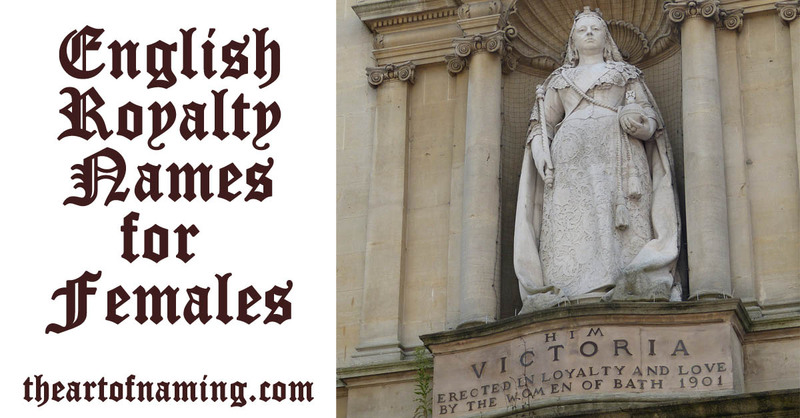 Like Mercy, it is also a virtue name used by the Puritans after the Protestant Reformation. In the US, though, it wasn't used on recent records until 1972. It has increased since 2006, likely influenced by the main character from the TV show Bones . It ranked in the Top 1000 from 2011 to 2014 but dipped below in 2015. Could it climb again or has it had its fun? Despite the super popularity of Isabella (and Isabelle, Isabel, Isobel, etc), Belle has somehow managed to remain uncommon. While it may be considered a short form of one of those (or other -belle names), on its own, it is the French word for "beautiful". It had the most usage between the 1880s and the 1930s before dipping down low. It's climbing a bit lately and is just on the outskirts of the Top 1000 chart now, on which it has not ranked since 1934. 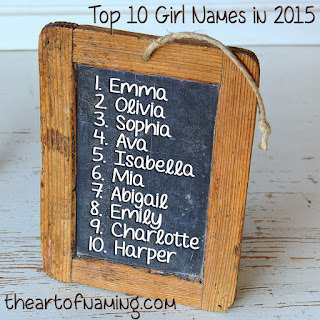 Which of these barely-used girl names do you enjoy most? Do you think any of these could gain more usage soon and become common or even popular in the coming years? From our new series, Darby is today's featured "-by" name. Darby is both a masculine and a feminine name. 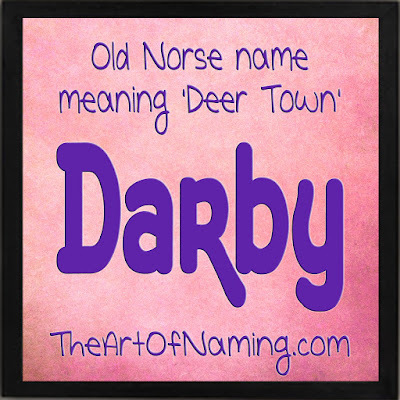 It originally comes from the name Derby which is an Old Norse name meaning "deer town". Derby is the name of a town in England which lent itself to becoming an English surname as well. That's where Darby comes from. There is an interesting proverbial phrase used by the British called "Darby and Joan" which refers to a married couple who are celebrated for their mutual devotion to one another. It is used to describe a couple that are content to share a quiet life together. This saying was first mentioned in print as a poem by Henry Woodfall in 1735 which featured John Darby and his wife Joan as the main characters. Another poet named St. John Honeywood wrote something similar as well shortly after. These two poems aren't the only mentions for Darby and Joan since it is a common phrase. As a name, Darby was first used in the US on males in 1913. Female usage began in 1936. Overtime, the number of births per year remained steady for males, but increased for females. Darby joined the Top 1000 chart on the girls' side from 1994 to 2002. It ranked as high as #499 in 1995. As of 2014, female Darbys rank down at #1891 with only 105 births. Male Darbys rank even lower with only 28 births for 2014. What middle name would you pair with Darby? And what would you name her siblings? Share your thoughts in the comments below! Have you ever met someone with a double-barreled first name? Two first names strung together by a hyphen? It happens often enough to be a thing, but yet it is still somewhat rare depending on where you live. 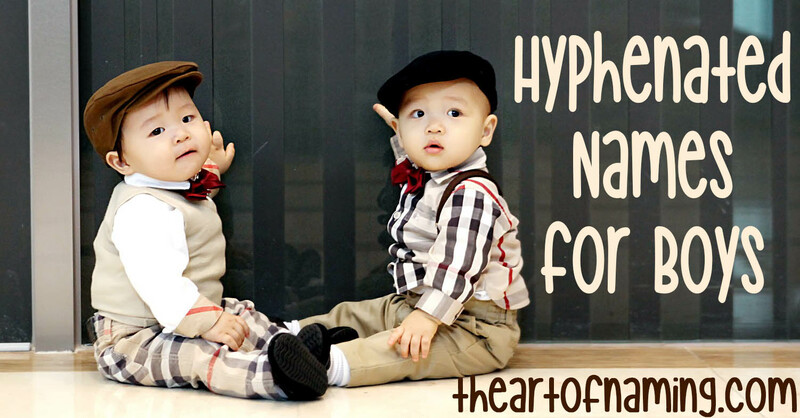 There could be a number of reasons why parents would opt for a hyphenated name. Perhaps they couldn't narrow down their favorites and decided to use them all. Perhaps they'd like to honor two people in one name. Or maybe they just like how the two names sound together. 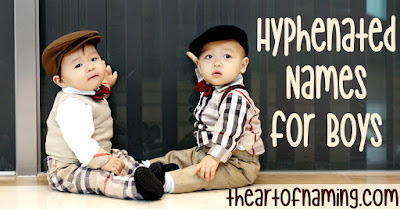 Hyphenated names do get used often, even here in the US, however none of them have managed to get enough births per year to rank all that high. 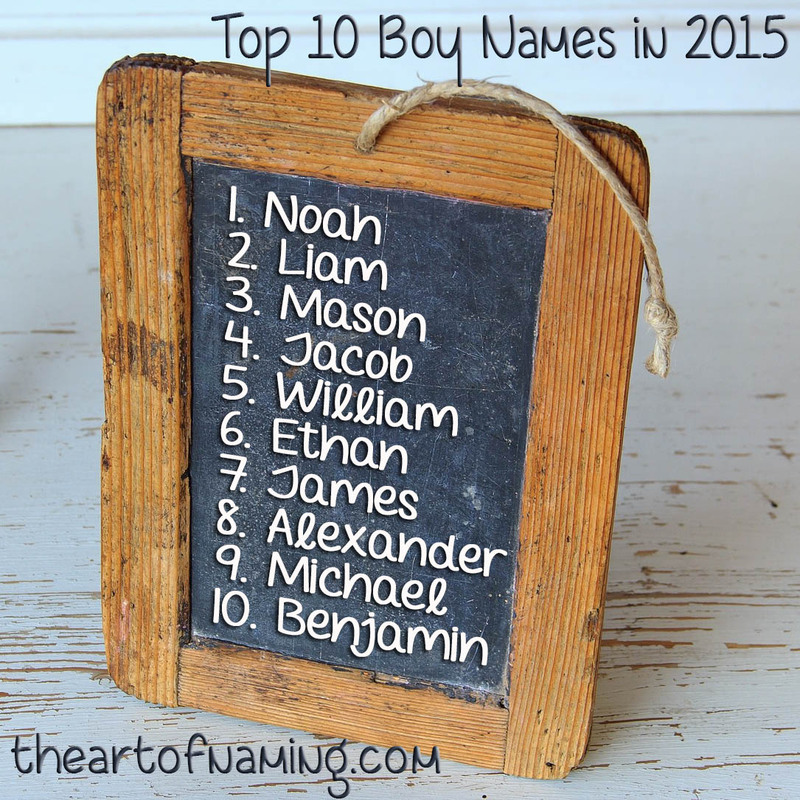 The majority of the names on this list have less than 20 births per year. Since the SSA's data doesn't account for any hyphens and writes it all as one name, it is impossible to know how these names are truly intended to be written. Perhaps the name was meant to be written as one, or maybe the child received two first names rather than a first and a middle. There could be some that were written with spaces. For example, it is unlikely that Juandedios or Angeldejesus are one word or hyphenated, but that's how it came up in the data. These are probably listed as Juan de Dios and Angel de Jesus in the "first name box". These could be one name. These could be hyphenated. Or these could be spaced as two first names. It is hard to tell from the data. How do you imagine the following names would be written? I suspect that many of these are double first names rather than actually hyphenated, but since we can't know for sure, they have been included here. Which do you like? Are there any that you think do not flow well together? 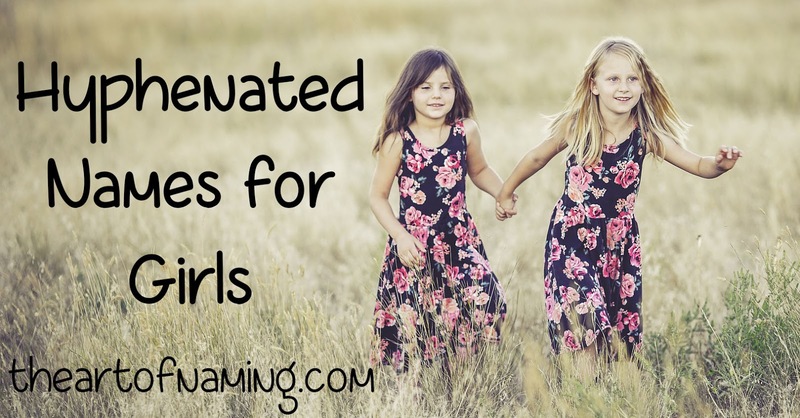 Stay tuned for the list of potentially hyphenated girls' names. It is SO much longer than this list!